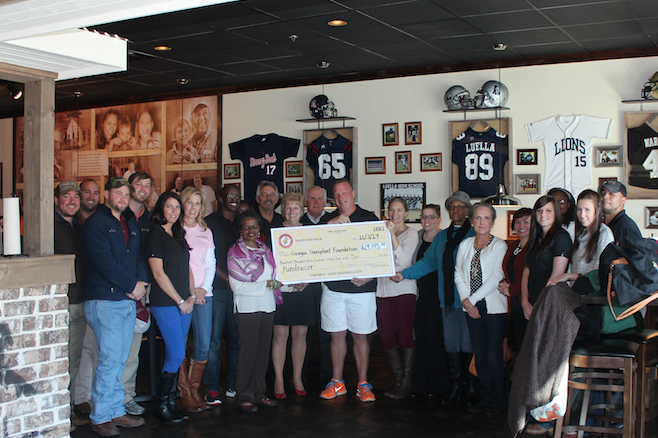 Today, Shane's Rib Shack was honored to present a check of $14, 395.08 to the Georgia Transplant Foundation!! Shane's Rib Shacks across the U.S. came together to support a great cause and promoted awareness for the foundation throughout their stores during the month of October. We were thrilled that two transplant recipients came out to join us for the GTF check presentation today! Tammy Frase, who received a liver transplant in 1999, and Dr. Vidalia Addy, a recipient of a kidney transplant in 2004, joined us for the event and shared their transplant stories and what Georgia Transplant Foundation has done for them. Shane's Rib Shack is privileged to be able to help give to such an amazing foundation, and to be able to see that we are truly making a difference in lives! Thank you, Georgia Transplant Foundation, for all that you do!